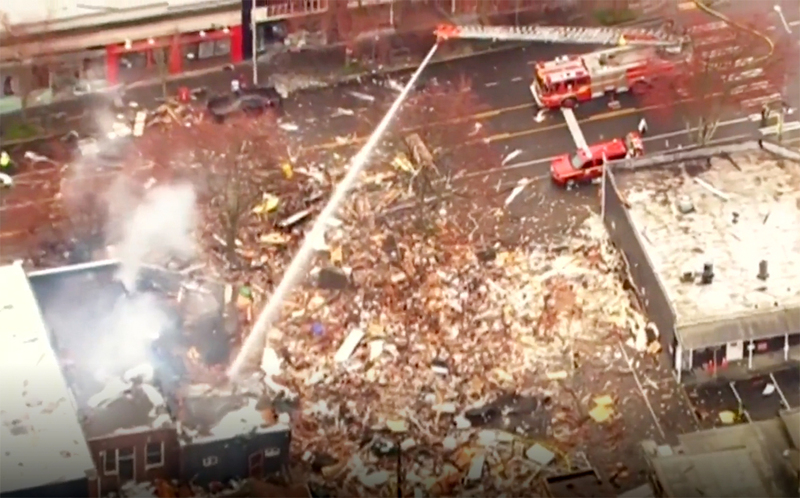 On March 9, 2016, around 1:30 a.m. Pacific time, there was a gas leak explosion in the Greenwood area of Seattle. Businesses were destroyed and people were displaced. The crisis also brought people together. The community center, the Phinney Neighborhood Association (PNA), stepped up to co-ordinate the Greenwood Relief Fund. And the literary center for youth, the Greater Seattle Bureau of Fearless Ideas (BFI), chose to donate all proceeds from their newly-created book to the relief effort. 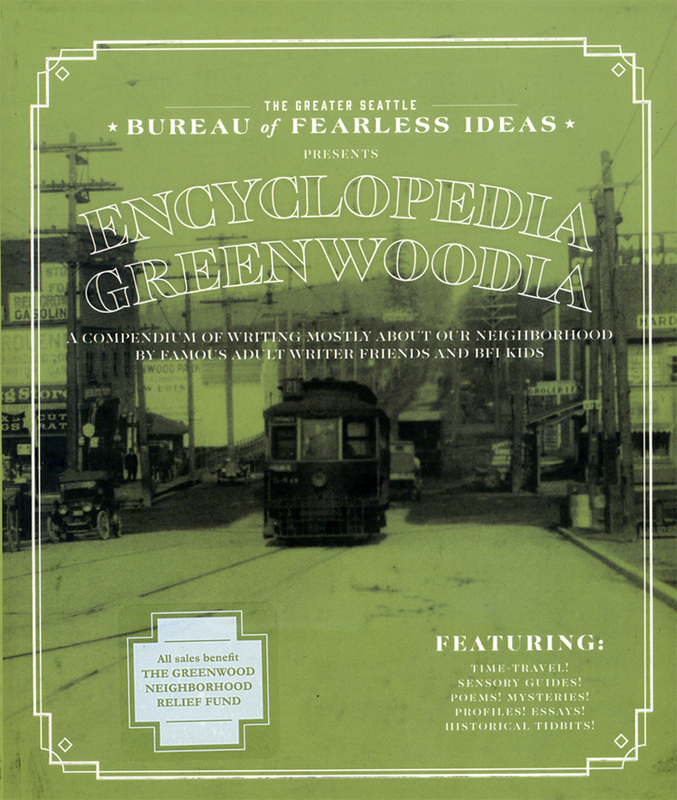 The book, “Encyclopedia Greenwoodia,” begun a year before the explosion, took on a greater significance after the explosion, and has an uncanny relevance to community-building. The explosion took place right across the street from BFI’s storefront, Greenwood Space Travel Supply Co. All tolled, the blast damaged more than fifty establishments, destroying Neptune Coffee, Mr. Gyros, Greenwood Quick Stop grocery, and much of G&O Family Cyclery. So much disruption. So much to rebuild. In fact, as of this writing, BFI’s operations are currently housed at the PNA. A reopening of BFI at its original Greenwood site is set for this July. It is essential to be aware of and to care about your neighborhood. Fortunately, no one died or was severely injured. But this crisis did spur on renewed energy and commitment. One of the things that makes Phinney-Greenwood unique is the activity going on at the Bureau of Fearless Ideas. Originally part of Dave Eggers’s 826 network of literacy centers, BFI still remains loyal to 826 but has also branched off on its own. That added freedom is what allowed BFI the flexibility to respond to the Greenwood explosion by donating the sales of its latest book. And it is this book that is a testimony to what makes this neighborhood so vital. What you can expect from this quirky “encyclopedia” is an anthology of wonderful writing from all ages and backgrounds, from professional writers all the way to kids just starting out. Flip through and you’ll land on some gem. We start with former Seattle Mayor Mike McGinn’s lively essay recounting the local effort to save Pluto’s status as a planet. Look further, and there’s BFI’s own anthology editor, Bill Thorness, sharing the story of Seattle’s first Ferris wheel, part of the Woodland Park Pavilion, operating from 1919 to 1934. The kids from BFI provide joyful and insightful work too. There’s the report from 9-year-old Maya Mullaney about the director of the Phinney Neighborhood Association, Lee Harper, and her being a professional service dog trainer. Another story comes from 9-year-old Meghan Doyle. She recounts the sensory experience of visiting the venerable Couth Buzzard Books with its great selection of books…and brownies. 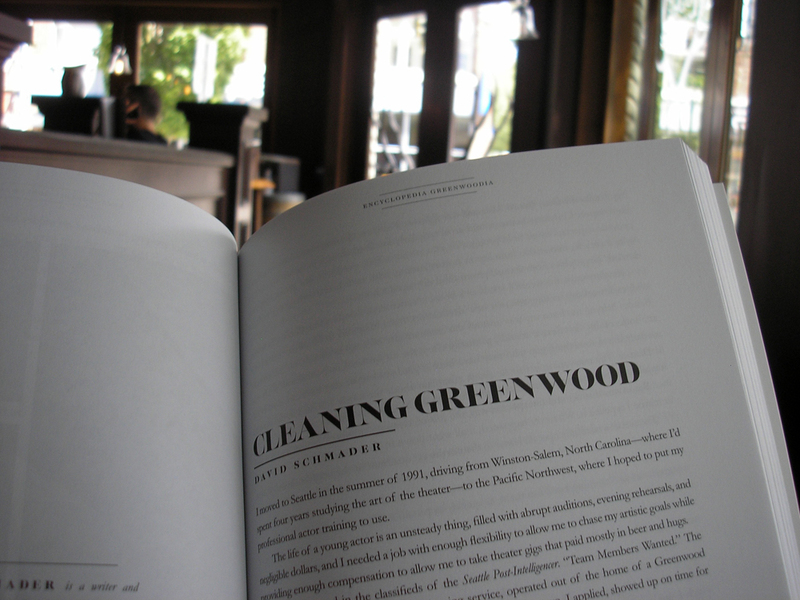 Getting deeper into the quirky and literary side of Greenwood is Paul Constant’s piece about a mysterious mailbox in Greenwood that promises each visitor a touch of poetry. Such a dazzling prospect! Paul is a co-founder of The Seattle Review of Books. He has written for The Progressive, Newsweek, Re/Code, the Utne Reader, and many North American alternative weeklies. 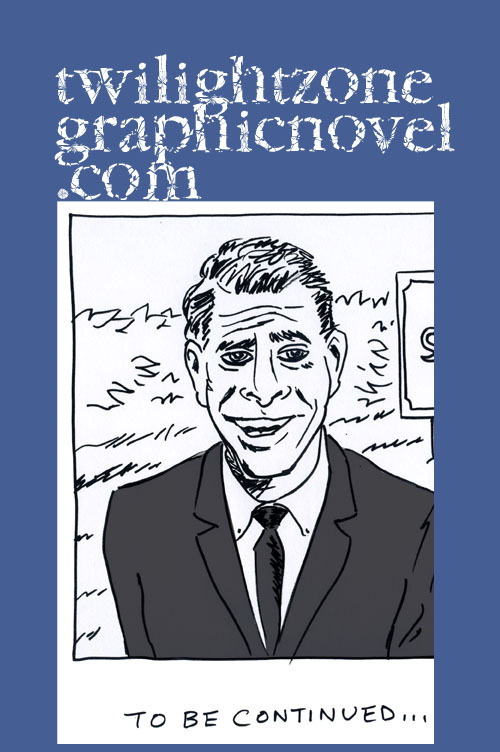 He proves to be the perfect person to consider the merits of this poetry-delivery mechanism. Does it work? You’ll have to buy the book to find out! I’ll leave you with one more from this impressive collection. David Schmader is a writer known for his essays and one-person plays and is now the Creative Director for BFI. When David first arrived in Seattle in 1991, fresh out of school and looking for a job, he worked for a time in Greenwood as part of a house cleaning team. As he describes in his own inimitable way, this wasn’t anything like being a chummy part of the family like on “The Brady Bunch.” No, this was like a military operation, mission-focused. David attacks his tasks with precision until one fateful day when he’s ordered to dust these massive mounted busts of wild game. That’s a challenge that a devout vegetarian must face one way or another. 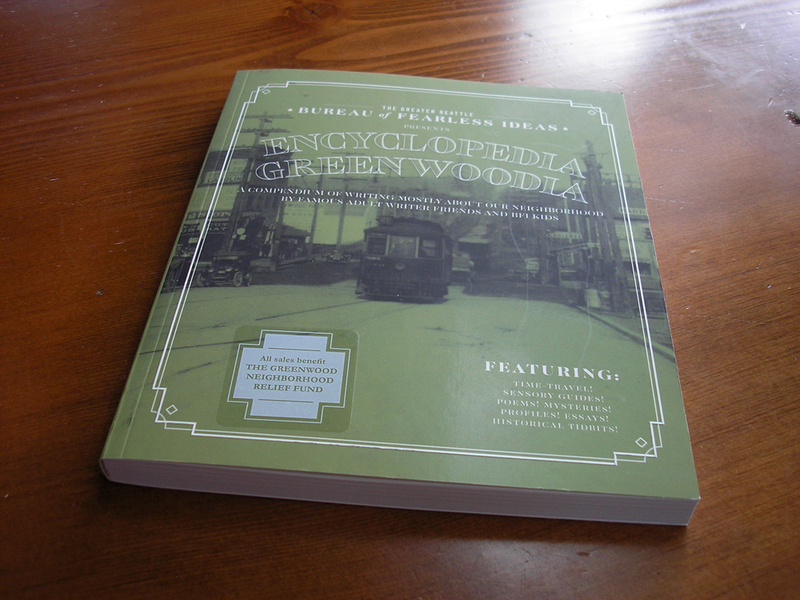 “Encyclopedia Greenwoodia” proves to be a timely book on neighborhood goodwill in so many ways. 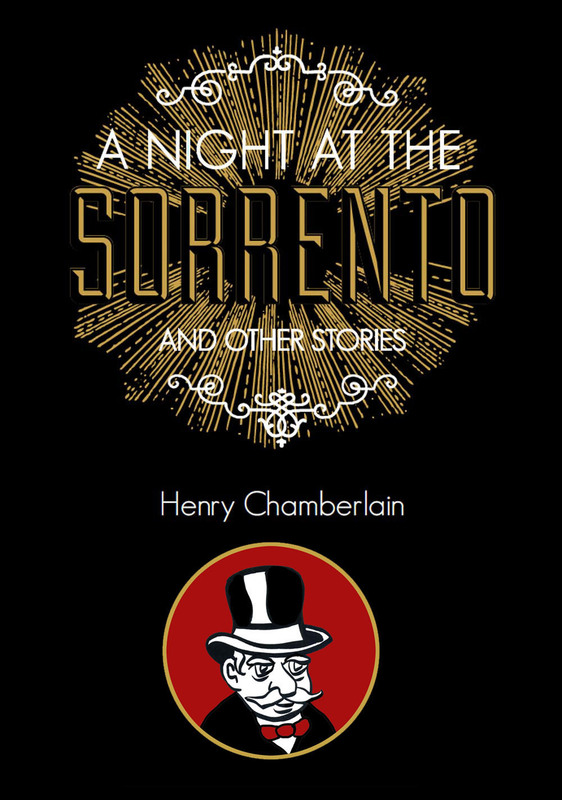 It is a 200-page paperback, with photos and a local map, priced at $10 (US) plus shipping. Consider picking up a copy for yourself. 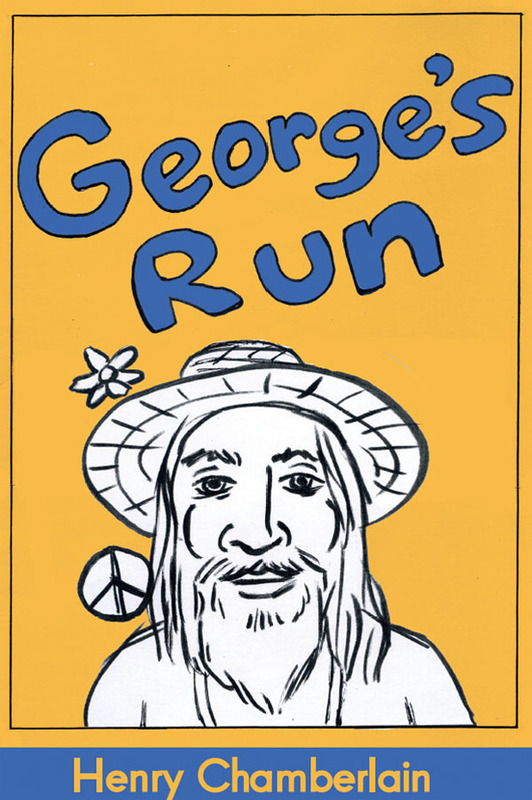 All proceeds go to the Greenwood Relief Fund. Find this book right here. You may also consider a donation to Bureau of Fearless Ideas. Your tax-deductible donation to BFI supports the only program in Seattle created solely for and dedicated to improving the communication skills of Seattle youth through a wide range of free writing and tutoring opportunities. For more information, visit BFI right here. Hi Henry – very sorry to hear about this terrible incident – I can only imagine what an impact it has had on the community there. So glad no one was injured – amazingly lucky. Wonderful to read about the BFI – a great initiative – I’ll repost via my hubby’s blog which he has just restarted on the Connected Curriculum – he would love this. Thanks so much for your comments and support, Chas. I love the subtitle on this baby!